What is ROMANIA SALSA WEEK? 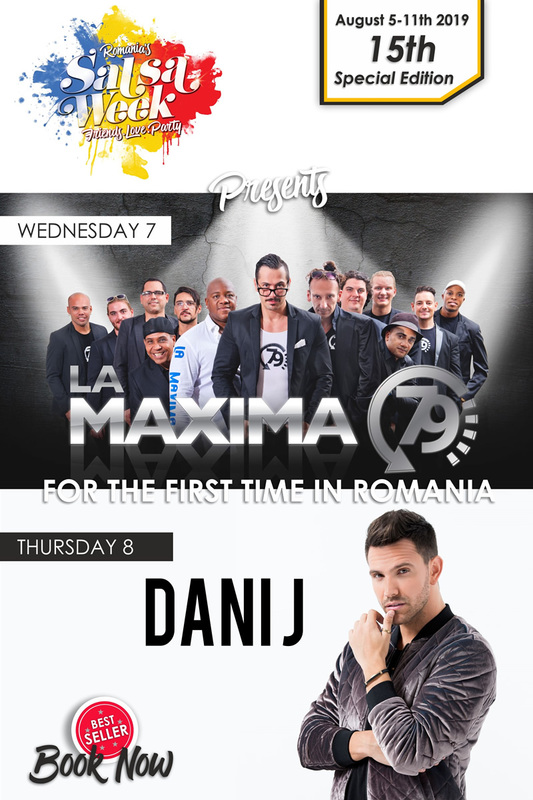 Romania Salsa Week is a dance festival where for seven days, participants will experience “The Real Latin Flavor” participating in dance performances, contests, theme parties, dance classes / workshops. What “Full Pass with Accommodation” includes during the event? What “Week Full Pass” includes? What “Week Party Pass” includes? What “Weekend Full Pass” includes? What “Weekend Party Pass” includes? Can I transfer the Ticket (the Pass)? Yes. The ticket can be transferred to another owner after prior notice to the organizer. Tickets won at competitions are nominal and can not be transferred. What does “Day Pass” provide ? What does the ” Night Pass” provide ? What happens if I lose or deteriorate my bracelet? If you lose your bracelet and you can not provide us the original bracelet, you must pay the full price of another bracelet. If your bracelet requires replacement, you have to return the original bracelet in order to receive a new one.